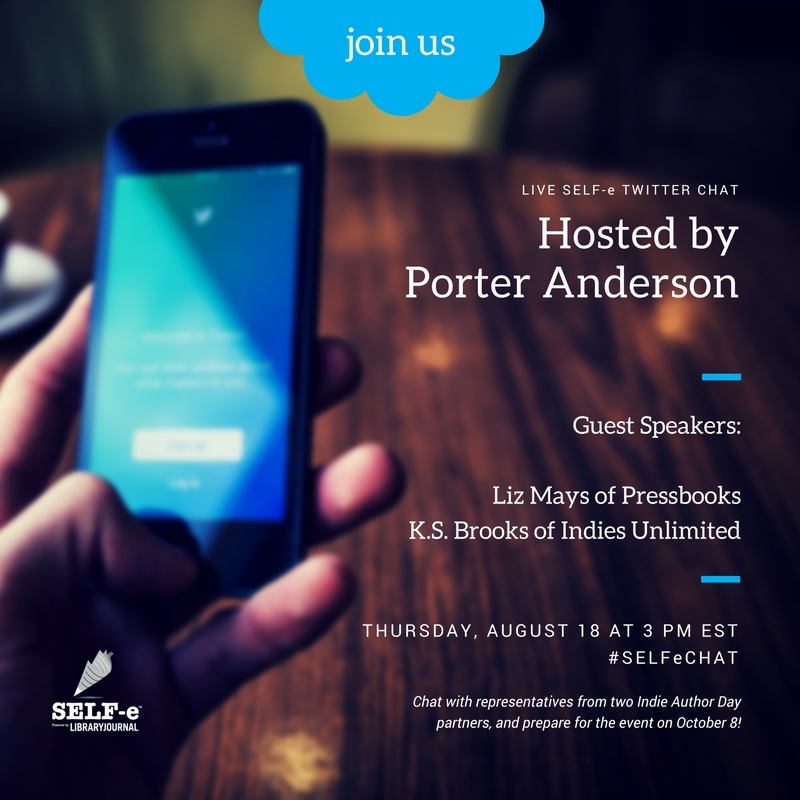 Follow along Thursday, Aug. 18, at 3 p.m. EST as SELF-e, Pressbooks and Indies Unlimited join forces for a twitter chat about indie publishing. Liz Mays of Pressbooks and K.S. Brooks of Indies Unlimited will discuss Indie Author Day, which is coming up Oct. 8, in a chat moderated by Porter Anderson. You can catch the live chat Thursday by following the hashtag #SELFeCHAT.